What Is Eco Fashion And Why Is It Getting So Popular Now? Eco Fashion is a relatively new word and style that has recently come to our attention over the last few years and is getting more popular by the day. We decided to take a closer look at the what it truly means and which clothing companies are leading the industry and how we think about being more environmental when if comes to the everyday clothes we wear. How the clothes are made. Are they made using raw materials, without the use of pesticides or use organic vegetation? The clothes need to be made from recycled textiles or other materials like recycled plastic bottles. Clothes have to be made more durable so they last longer or can be swapped or traded for other clothes. Clothes that are made without the use of harmful chemicals, dyes or bleaches. Eco Fashion also considers human rights and how the clothes are made and by whom. It’s important that workers must be a paid a fair wage and operate in decent working conditions. Back a few years ago, clothes that were designed with the “Eco friendly” style were not that attractive and were looked at as dull, boring, not creative, shapeless designs and unpopular fabrics. Some would even say that they were too “Hippy” like or too Earthy” and not that many people were interested in the typical designs. Things have changed a lot over the years and now there are more high profile designers who are catching on to this hot trend and making clothes that are just as nice as regular cutting edge fashion product lines for each season. The day has come, no longer is Eco Fashion associated with Birkenstocks and hemp bracelets but with high fashion. Actually, it was way back in 2009 when the top designers started to take notice of the trend and quickly went to work on creating clothes that were hip, trendy, comfortable and something everyone would want to wear. Eco-friendly was born and has now created clothes for all categories including: women’s clothing, men’s clothing, kid’s clothing, dresses, jeans, suits and they all use a combination of organic and recycled materials. 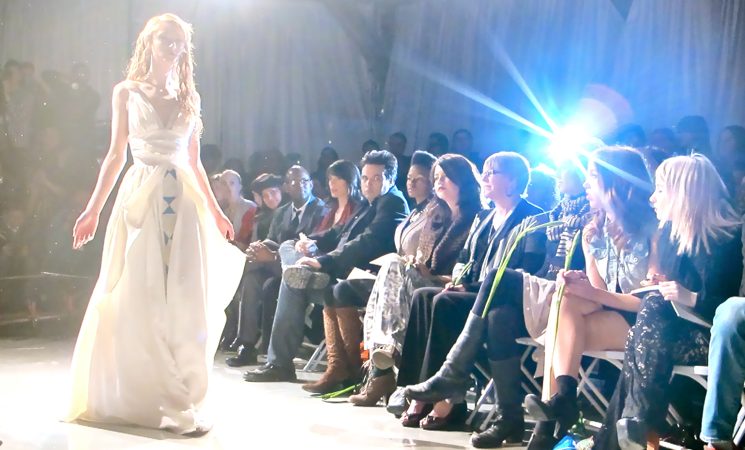 Who is the Eco Fashion top designers? In the beginning Anne Salvatore Epstein was probably one of the first designers back in 2005 that really started to look at how we can create environmentally friendly clothes utilizing all the elements of recycled materials and organic cotton. 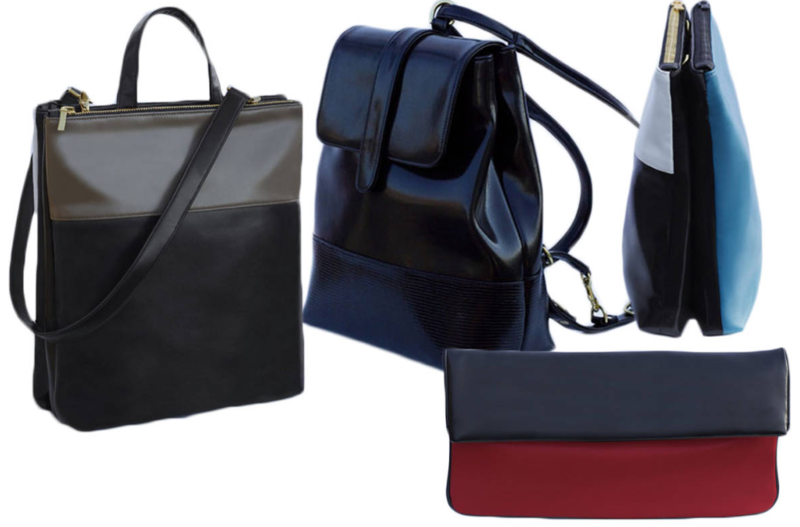 Now leading designers like Stella McCartney (daughter of Paul McCartney) are creating beautiful clothes for all walks of life. 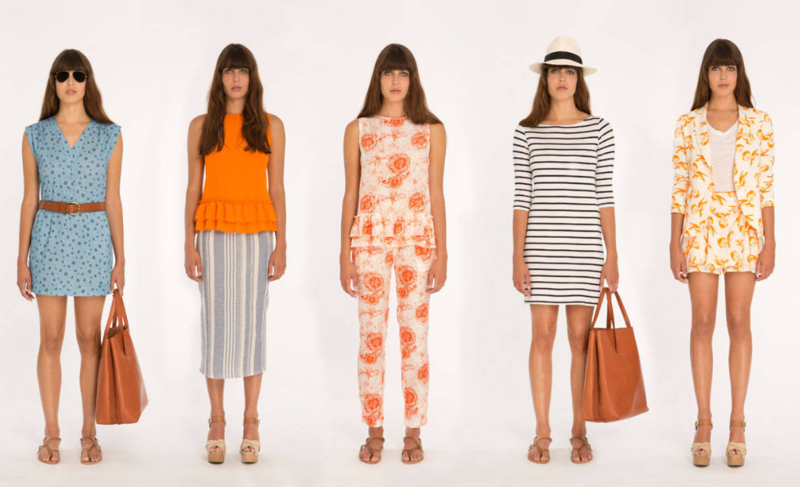 Here are the Fashion companies that are taking Eco Fashion from Hippy to Haute. Remember, you can also find lots of great Eco friendly second hand designer clothes on Fabswapp for free and extend their life for years to come. Svilu: Here is a company that design specifically for the more relaxed bohemian feel and uses comfortable silhouettes and romantic colours. 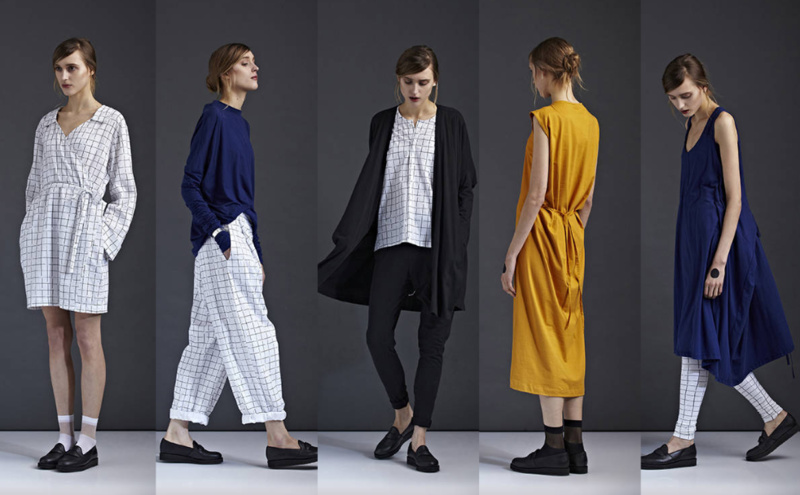 KowTow: This Company goes for more of the minimalist look and incorporates rich hues and crisp fabrics using 100% fair trade cotton that is organic. Freedom of Animals: Just like the label says, no animals are used in the production of these handbags and purses. Their products are created from recycled materials like water bottles and are really cool. H&M Conscious Collection: Using local and sustainable fabrics, the popular retailer has found a way to include Conscious Collection into it’s extremely fast product cycle so consumers now have a choice to be more environmental and in fashion at the same time. 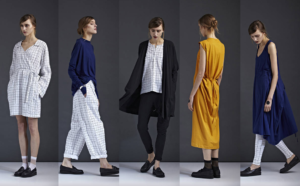 Mina + Olya: Known for using sustainable organic fabrics that are used to create flowing skirts and cool cutout jumpers. 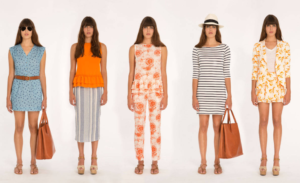 Amour Vert: They have a spring collection that uses bright colours that are perfect for summer and utilize a zero-waste philosophy and only use sustainable fabrics and low-impact dyes. More people are using Fabswapp too. Not only is Eco Fashion getting popular as more people become aware of many great quality clothes goes into our land fills everyday; clothes last a lot longer than most people think and even the Eco Fashion clothes created today could be swapped and even extending their life span for a longer period of time. Fabswapp believes all clothes can have an extended life and we are proud to be saving the environment and being a part of the Eco Fashion product life cycle where clothes that are make from recycled materials and being reused for other people to enjoy. Go to Fabswapp today and find something you love or something that you have in your closet that you think someone else would love too and post it up. Get on over to Fabswapp today and find lots of Eco Fashion clothing for free. You can download the Fabswapp app now on Google Play or Apple iTunes and find something you’ll need for free. You’ll be saving money and the environment and that is best for both. We’ll even give you 100 tokens for signing up. Remember every time you post something of yours on Fabswapp, you’ll get 5 free tokens. And you will also be helping us reduce the waste in landfills.